Our parents ask us many different questions about swimming and water safety, so for the next few weeks we’re going to use the blog to answer some of them. There are a variety of floatation devices on the market today, and each work in a different way. They are designed to keep children afloat so they can become confident in the water while they are exploring. It is important to note that flotation aids are not safety devices, and they are not designed to prevent drowning. While they can help children to float, they can’t help them to breathe. Children must be supervised at all times when they are around the water. This means that children must be within an arms length of a competent supervisor. Children can drown if flotation aids are faulty, used incorrectly, or do not fit properly. Children who are inexperienced, or who may be scared or overconfident around water can unexpectedly get into trouble and panic. This can happen very quickly and quietly. You should always follow the manufacturer’s instructions for safe use. Before use, make sure that you check your flotation aids for holes, tears and leaks. If any of these are present, do not use them. Always follow the warnings and instructions for assembly and use. The different types of flotation devices include vests, armbands, rings or seats. When choosing swimming and flotation aids for your child follow the manufacturer’s age and weight recommendations. Choose a design, size and fit that suits the development of your child. For example, flotation aids designed for younger children may not be suitable if your child is above average height and size for their age group, and vice versa. You can purchase some of these devices from our swim shop. If you choose to use these floatation devices, it is important to have some “Floaty Free Time”. Floaties can give your child a false sense of security that makes them overconfident. Or they can become scared of swimming without floaties, which can hinder their progress in swimming lessons. Set aside some time when you use floaties as “Floaty Free Time”, and let them explore and experience the water within your reach. If you have a question you would like answered, feel free to get in touch with us via our Facebook page or email. You can also ask one of our friendly staff members for advice. For more articles like this one, pop on over to our News and Facebook pages. Try a holiday intensive program or adding extra lessons. Holiday intensive programs allow you to take your child to swimming lessons every day in order to fast track their learning. The more opportunities children are given to practise the faster they will learn. Repeating the skills taught in swimming lessons multiple times throughout the week allows the child to develop these skills faster. Holiday Intensives will boost your child’s swimming ability and allow them to start learning new skills sooner. The same applies with adding a second lesson. On average, most children complete one 30min lesson each week. If your child attends one lesson every week for 50 weeks of the year, this equates to 25hrs of swimming time for the year. That number doesn’t consider things like public holidays, student illnesses, taking the winter months off, or other life events. Adding a second lesson will instantly double your child’s swimming time and give them the opportunity to learn faster. Visit a pool and just play! Studies have proven that exploration is a great way for children to learn new milestones and improve existing skills. Give your child ample opportunities to play, explore and enjoy their time in the water. This fun exploration time may offer them the chance to discover skills that they may not have tried at their lessons. They may improve existing skills by playing and enjoying some free time in the water in a less structured environment. Swimmers who are in the water with a parent are lucky in that their parents are participating in the lesson. However, there is a difference between attending a lesson and being involved in a lesson. If you are in the water with your child, ensure that you are actively participating and getting involved in the learning process. Listen, ask questions if you don’t understand and partake in every activity to the best of your ability. Parents are essentially the teacher when they are in the water with their child. Parents whose children are in a lesson without them have a bigger challenge. It is easy to zone out and take the time to plan family activities, check social media, or daydream. However, a swimmer whose parent is engaged in their lesson will participate more fully. Find a spot around the pool where your child can see you and you can see them. Watch the lesson and make eye contact with your child where possible. Give non-verbal feedback throughout the lesson such as nodding, smiling and clapping when they look to you for support. After the lesson is finished, discuss specific drills or skills that you saw your child participating in. This signals to your child that you were watching and interested in their lesson. In order to see continual improvement in your child’s swimming ability you need to consistently attend swimming lessons. Making the decision to commit to swimming lessons year-round will see your child build confidence in their swimming skills and gain more independence in the water. Ceasing lessons for any period of time throughout the year, or missing multiple lessons in a row, can result in the regression of skills and confidence. We all know how hard it is to start back at the gym after a few months off. We keep going to avoid having to start all over again. The same goes for your child and their swimming development. Even the most competent swimmers can regress without consistent practice. This is why aspiring Olympians will commit to four years of training without skipping a session. 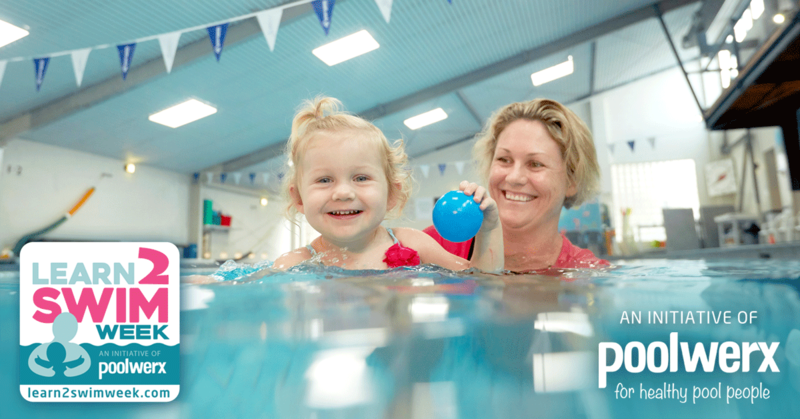 Winter is the perfect time to keep your children in swimming lessons. Unlike backyard pools and local beaches, swim school pools are fully heated. Most swim school pools are also indoors and away from the cool weather. With this in mind it makes perfect sense to continue lessons and provide your children with the best chance for improvement. For more information about swimming over winter, watch this video. It is important to remember that learning to swim takes time and patience. It takes dedication and commitment, and it can sometimes be a slow process because each child learns differently. There may be times where you get frustrated with this and want to push your child through the program in order to get them into a higher level. When frustration sets in, relax and keep the previous tips in mind. Also, remember to trust the advice of your child’s instructor. Each swim school has a certain curriculum to follow when they are teaching swimming. This means that your child may have to master and perform certain skills before progressing to the next level. If you have concerns about your child’s progress, talk to their instructor or the management team. They can fill you in on what your child needs to work on and what the lesson focus is for their group. Swim instructors are passionate about their jobs and have your child’s best interests at heart. Communicating with your swim school will allow you to work together to get the most benefit out of swimming lessons for your child. Do you and your children know the best way to enter and exit a pool? We will show you how to enter and exit a pool safely in this week’s Swim Tip! In this Swim Tip, we discuss the benefits of continuous swimming lessons over winter. We also debunk some of the myths that surround swimming over winter.